Travel to Belarus will open up a truly off the beaten track destination. Steeped in history, culture and politics – Belarus lies to the east of Poland and the west of Russia, and maintains a distinctly independent identity from both its big brother neighbors. Belarus was the cultural and geographic meeting ground for the Balts and the Slavs. Once part of the Grand Duchy of Lithuania, the castles, palaces and fortresses of that era rub shoulders with Stalinist style Soviet architecture. Belarus has produced some of the worlds best artists including the painter, Marc Chagall, and the roots of its folk music stretch back into Lithuania. The cities of Brest and Vitebsk are known for their rich cultural heritage. Art, dance, literature and music are intrinsic to the country and its people. Belarus was once an important center for European Jews, but due to several migrations, only a handful of Jewish people are left in the country. Thickly forested and with several rivers charting their course through the countryside, Belarus is one of Europe’s hidden gems. Experience the “White Russian” nation with Exeter International. 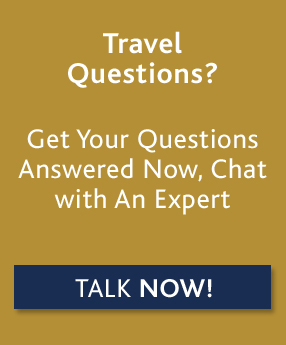 For custom luxury travel and tours to Belarus, please contact one of our travel experts, or read on below for more information about where to go and when, along with our Insider's Guide. The best time to travel to Belarus is April through September. Winters are harsh and fall can see heavy rainfall. May, June and September are the most pleasant times to visit. Largely rural, most of the charm of the country is found outside the capital, Minsk. The countryside has bucolic villages, lakes and forests. Due to the requirement of a visa, Belarus does not get the same amount of visitors that her neighbours in the Baltic States or Poland get, but there are some highlights that are notable. Polotsk, the oldest city in the country, has the historic Saint Sophia cathedral – ancient even by the standards of the region and built in 1044. Brest, on the Polish border was the site of the battle of Operation Barbarossa in WWII, and has been part of Poland and Lithuania through the centuries. It is worth discovering the beautiful 16th century castle in Mir, a day trip from Minsk. Nesvizh Castle also a short drive from the capital has also been completely restored. Both are listed as UNESCO World Heritage Sites and were former palaces of the Radziwill Family (Stanislaw Radziwill married Jacqui Kennedy’s sister, Caroline). Our team of travel experts can customize a unique program for you for travel in Belarus based on your exact preferences and interests. 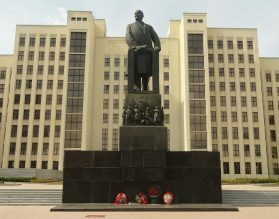 Belarus is rich in Jewish heritage, many of our travelers visit Minsk to research their ancestry. Let us take you back to your familial roots and connect you with the best genealogy specialists to uncover as much as possible about your ancestry. Chances are you may discover a new meaning behind your name or find your family’s long lost home you only know from stories.